TODAY & TOMORROW, November 22-23, Hearts Stolen is on sale for $1.99 at Amazon. Unbeknownst to loved ones, a headstrong young wife is snatched off the prairie by two Comanche braves, carried north of the Red River, and traded to their war chief for ponies. After five years, a small detail of Texas Rangers rides into camp, and she determines that day will bring freedom or death. She’ll remain captive no more. Sassy Nightengale almost gives up hope until a company of Texas Rangers rides into Bold Eagle’s peace camp. She learns they’ve come for the negotiated exchange of stolen white women, except her name isn’t on their list. Purposing in her heart to escape captivity with her blue eyed, four- year-old that day, she does everything she can to be noticed. Famed Texas Ranger Levi Baylor spots the red headed beauty and agrees to the war chief’s price adding his personal horse and weapon to the Republic agents’ offerings. The trade propels the couple on a trail of joy and sorrow. Sweet love blossoms but must be denied. His integrity and her faith in God keep them at arm’s length, not allowing even a kiss. Sassy’s still married to her son’s father, and Levi’s honor bound to deliver her home—to her husband. Can their forbidden love be made holy? God hates divorce. Is it wrong to hope, expect Nightengale to relinquish his wife and son? Will Sassy and Levi find the redemption they seek for their troubled souls? Caryl McAdoo is an entertaining storyteller! Early Texas history, action and adventure, and forbidden love are just a few of the threads that are woven together to create this compelling story. Hearts Stolen kept me up late, turning page after page, with an eagerness to know how the love story would end. I enjoyed this emotional journey of love and loss and look forward to continuing the trilogy in Hope Reborn! 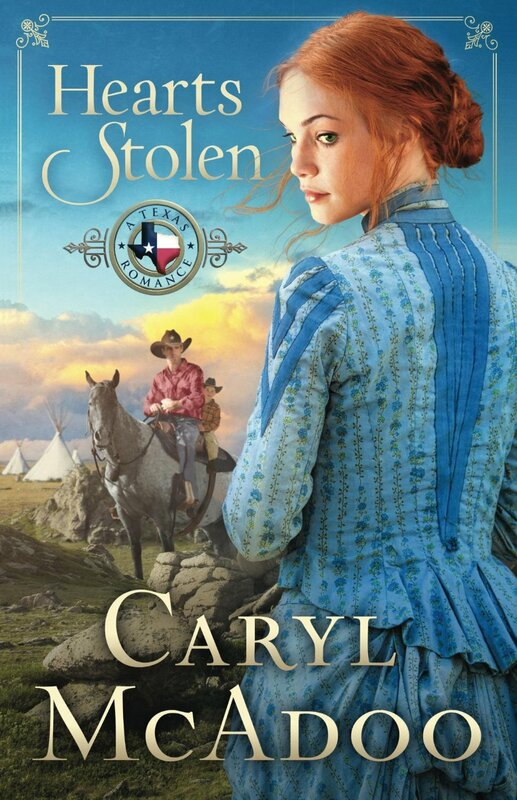 Hearts Stolen can easily be enjoyed as a stand-alone novel, but I would encourage you to read the series in order, beginning with Vow Unbroken.